“Tax Tips for Foster and Adoptive Parents” trainings in January of 2017 and 2018 provide valuable, provide information and insights about the unique requirements of tax preparation for foster and adoptive parents. “Legal Tips” training in January 2017 helps parents understand their legal rights, and how to navigate the juvenile courts. Fifty kids come out for a baseball clinic in January, 2017 to meet major league and minor league players and sharpen their baseball skills. Parents sit in the stands and network. AZAFAP adds a “Spring Family Camp,” at Lost Canyon Camp in Williams, AZ and more than 250 children and adults spend the weekend playing, networking and spending time with other families who are on the foster care and adoption journey. Summer means the ‘summer Staycation,’ that brings together more than 100 families for a weekend of fun and sun at a local resort. “Christmas in July” brings together children and families for a fun evening at the Arizona Science Center, with Santa and Mrs. Claus, storytelling, and of course, Christmas presents! The “Dad’s Day” event at two Top Golf venues brings foster and adoptive dads together to celebrate and talk about the joys and challenges of their foster care/adoption journey. “Parent’s Nights Out” throughout the year give parents some time together, and kids a safe and fun place and time to play. Foster and adoptive mom’s enjoy a day in the sun on a Dolly Steamboat adventure.  The AZAFAP fall training, focused on system navigation and techniques for dealing with trauma for children in foster care, fills up with more than 125 attendees. AZAFAP gave away more than 765 pairs of new shoes at the 2017 Shoe Giveaway at WSS in Phoenix and Mesa and DSW in Tucson. AZAFAP partners with Helen’s Hope Chest, Jose’s Closet, Arizona Helping Hands and storage rooms across the state to make clothing and supplies available to families for their children in foster, adoptive and kinship placements. Michele Wright and Goodman’s Furniture in Tucson, provide a clothing exchange each month for children in group homes and families in Tucson. The annual AZAFAP Family Camp adventure in the Fall, a “Stars and Stripes” camp brings together foster and adoptive families from across the state for a weekend of networking, support, dancing, hiking, fishing and lots of FUN. Alpha Kappa Psi Fraternity at Arizona State University sponsors picnics in the spring and fall that bring together more than 1000 adults and children for fun, networking and support. Volunteers refurbish more than 1430 bicycles and give them away to children in foster care during the holiday season. An additional 426 children receive toys in the annual AZAFAP holiday toy and bike drive. ZAFAP board members participate on the DCS Oversight Committee and continue to provide input and support to DCS and legislators in decisions regarding children in foster care and the loving families who care for them.